So Summer is over. I'm not quite ready for fall but luckily either is New England. Our weather keeps going back and forth between 50s and 80s, rain and sunshine. But the days are shorter and it's the end of September so it's time to embrace fall. 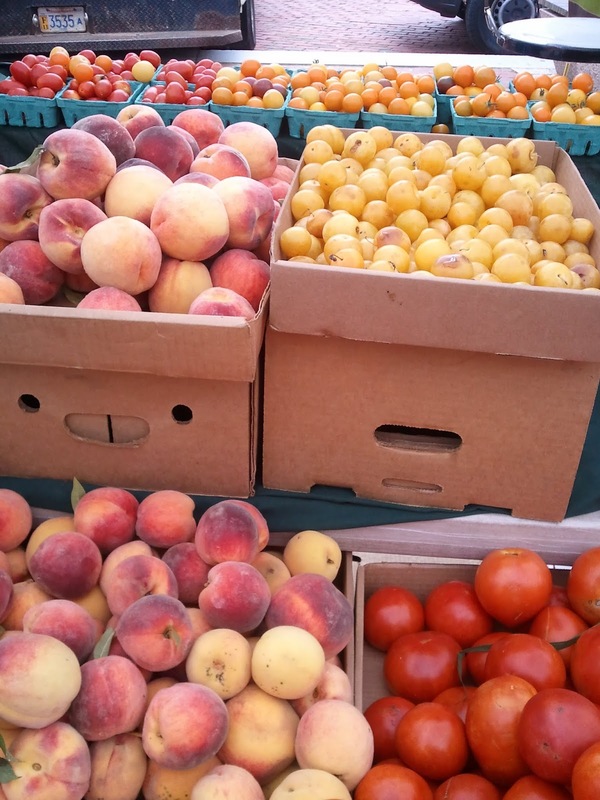 Before I do that, I want to recap my favorite dishes of the summer using farm fresh produce from my CSA! 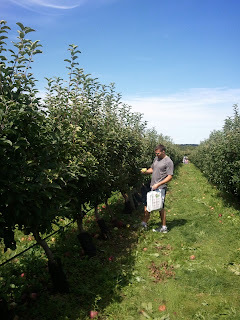 I've really enjoyed Stillman's Farm this year and I was incredibly happy with the amount of produce we got each week. Enjoy the pictures! All the recipes will be linked to a word document at the end of this post. 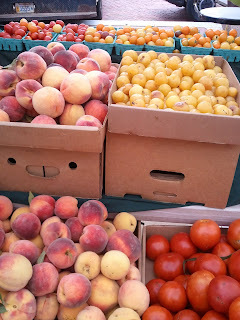 All Recipes can be found here- Summer 2011 Stillman's Farm Recipes! 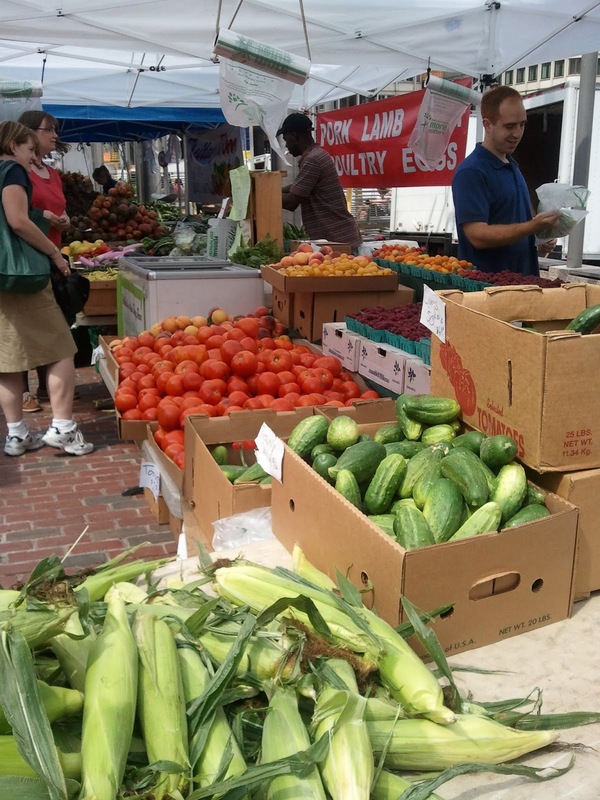 What was your favorite summer dish? So September 23rd is officially the end of Summer. This depresses me dearly. Because ever since I started working full-time seven years ago, summers haven't been the same. But luckily even with my 40+ hour weeks, I've had a pretty fantastic summer. 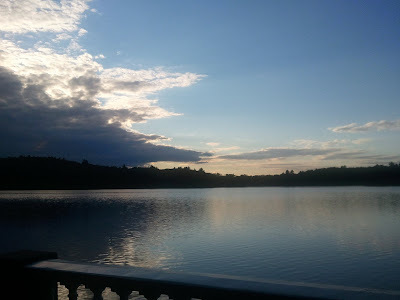 So here we go, in photos. Summer started at the Cape, at Stephanie's brand new house, only a mile from the beach where we had fun with the most beautiful sunset. I ran a 5K with my blogger friends and PR'd. Taking 20 seconds off my 5 year old previous best time. 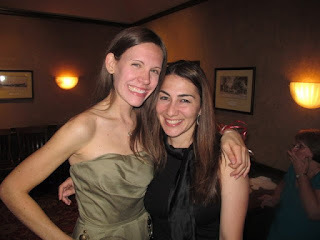 I traveled to NYC to hang out with some of my favorite bloggers. Oh and I also ran a 10K. And PR'd by like three seconds. I celebrated and helped plan my companies 43rd Anniversary Party! I headed back to the Cape for July 4th weekend. And sloshed around in our slip and slide game of fun. Celebrated some 30th Birthday Parties. First, Meg's with Minute-to-Win-It-Games. If you've never played, I suggest you do this at your next gathering! So much fun! And secondly, Melissa's. One of my oldest and dearest friends! Enjoyed countless CSA pickups at City Hall. Met countless babies, including Gretchen's adorable baby boy and Remi's baby girl. Ran lots of laps around Lake Waban in Wellesley. And captured some gorgeous photos! 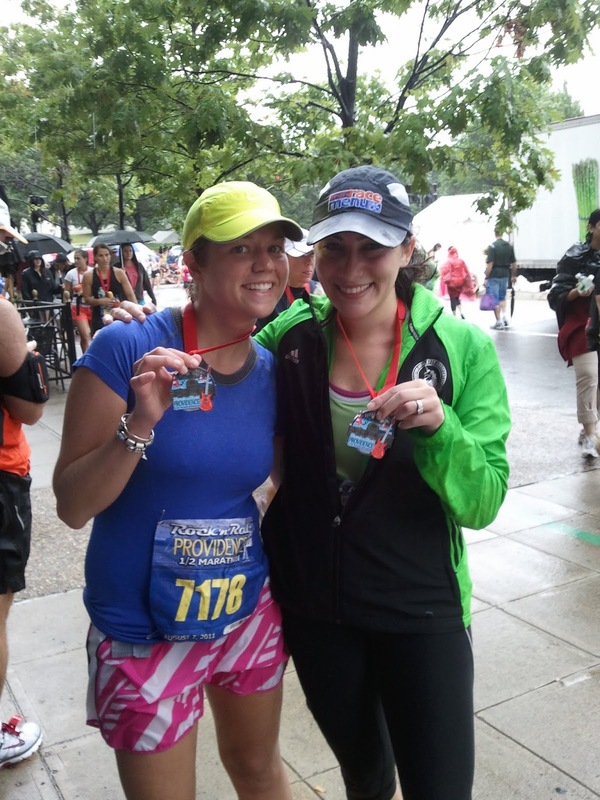 A week later I ran another half with my friends from college Lindsay and Theodora. Learned another valuable lesson- it is not easy to break 2 hours without training for it : ) But I also learned how important it is to care more about friends performances then you're own. Lindsay broke 1:50 and Theo broke 2 hours! Finished the summer with a trip to Chicago and Nebraska. I love the midwest. Spending time with my family is always the best part of going to Omaha. And on 9-10-11 we went to a wedding on the Cape. I love Cape Cod. Kendalle and Steve got married at a small chapel and we all celebrated at the Dennis Inn. Below are all the girlfriends and wives of Dave's best guy friends. I'm glad I've become close with these girls : ) I still need to recap this wedding. Trust me, the food was outstanding, it deserves a post of it's own! 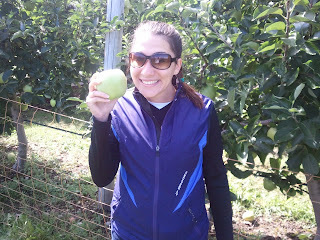 And lastly, Dave and I ended summer with a trip to the farm to go Apple Picking. We now have countless apples. 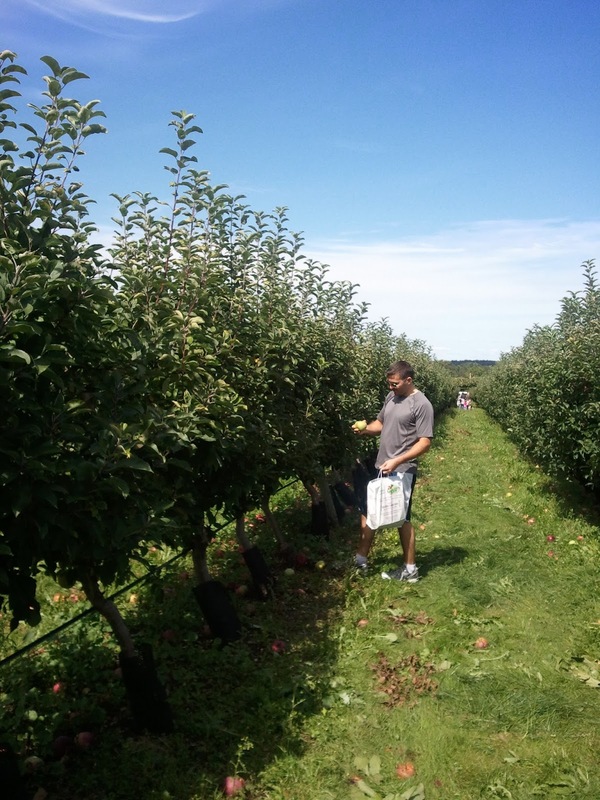 Apple Crisp soon perhaps? Stay tuned... I'm also going to recap the best RECIPES of the Summer. I've skipped over CSA Weeks 10, 11 and 12. Week 10 I picked up the day I went to Market with my blogger friends. By the time I got home it was late and I didn't have the motivation to take a picture of my goods. I missed Week 11 because I was on vacation. And I don't remember what happened to week 12. So now we have Week 13! We got: Lettuce, Green Peppers, Onions, Potatoes, Eggplant, Corn, Heirloom Tomatoes, Apples and Melons. Since I had been stashing several green peppers over the last few weeks and these peppers have been enormous, I decided to cut the peppers in half and make Stuffed Mexican Peppers. I mixed corn, black beans, spinach, onions, tomatoes, brown rice and mexican blend seasonings. After sautéing that up, I stuffed the peppers, sprinkled them with cheese and baked the peppers for 30 minutes. The filling was so delicious and made almost entirely with CSA goods. In a skillet heat some olive oil and saute onion. Add in the corn, beans, spinach and tomatoes with the seasonings. Microwave the rice, then add it to the mixture and mix all together. Add a half cup of cheese and turn off the heat. Incorporate the cheese in the mixture. Cut the peppers in half. Spray Large pan with olive oil spray and add the peppers. Then start stuffing! Fill the peppers with the delicious mixture. Add the cheese on top and bake for 30 minutes. You will probably have extra stuffing which is okay- you can eat that alone : ) Enjoy! What's your favorite way to stuff peppers? One of my favorite quick dinner meals is Creamy Avocado Pasta. I've made this dish a handful of times but this time I adapted it with some of my favorite Trader Joe's products. 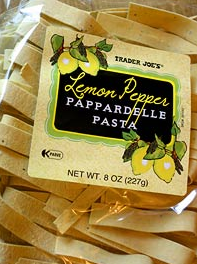 I thought Lemon Pepper Pappardelle Pasta would pair nicely with a creamy avocado sauce. 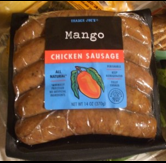 And Mango Chicken Sausage would add sweetness to this already fresh dish. 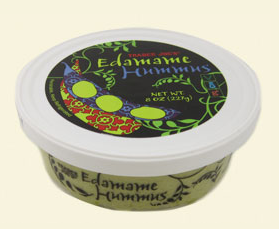 Edamame Hummus brightened up the avocado sauce and added another delicious flavor element. This dish came together just as fast as it takes to cook the pasta. And its a meal you don't have to feel guilty about! If you didn't know this already, I love to cook and I hate to bake. The reason? I don't measure. I have a really good idea of what a tablespoon is or what a half cup is. I don't need to measure anything. This is one of those recipes that is absolutely crucial to taste as you go. Blend the sauce up and add more as you see fit. Start with 1 Avocado and 1 Lemon Juiced and go from there. Salt and Pepper at the very end. Trust your instincts because this a dish you really can't mess up! Cook pasta according to package directions. While your pasta is cooking, add ripe avocado, lemon juice, garlic, hummus and cheese into the food processor. With the motor running, add a little olive oil. Taste and decide if you want more avocado flavor (I did). If so, add another avocado and more lemon juice. If sauce is too thick, add a little pasta water to make the sauce silkier. Cook the sausage links until browned. Once pasta is cooked, mix the sausage and sauce together in a giant bowl so the sauce covers all the pasta. Add some basil and more parmesan on top and enjoy! What's the most unique pasta sauce you've ever made? I'm a HUGE fan of Top Chef. I've loved the show since the beginning. Season Four was a tough season. I loved Stephanie Izard and she totally deserved to win, but I loved Richard Blais as well and was just as psyched when he won Top Chef Masters. But, when I heard about Stephanie's restaurant called Girl & the Goat located in the West Loop area of Chicago about a mile from our hotel, I knew we had to go there. Unfortunately when I tried to make a reservation online, Open Table told me they were booked solid for 8 weeks. So I called. And was told that if I got there at 4:30pm we'd have no problem walking right in. So we arrived at 4:25pm and waited until the doors opened. And we weren't the only ones. By 5pm on a random Tuesday night (late afternoon?) this place was bumping. Does the midwest like to eat early or is this place always so busy? I'm going to go with the latter. The atmosphere is really cool; exposed ceilings, open bar, kitchen and windows and comfortable seating. This logo was on all of the waitstaff's shirts and on our check. It was pretty cute. Speaking of waitstaff, our waiter (s) were awesome! Very attentive and answered all of our questions. She knew everything about the dishes. The menu is set up in three different categories. V, F and M. V for Vegetarian, F for Fish, M for Meat. Now that doesn't mean that all the Vegetarian dishes are meatfree, it just means that the star of the dish is vegetables. Same goes for the others. So naturally we ordered 1 V dish, 1 F dish and two M dishes : ) Our waitress told us to order 2-3 dishes per person. We ordered 4 dishes plus bread and trust me it was enough! We were super full! First up, we ordered the Culture Club- homemade bread with homemade butter and beer cheese sauce. The butter was amazing and the cheese sauce was insanely addicting. Maybe this is a reason I got so full so quick : ) The bread was served hot and we savored every delicious bite. Next up we ordered the squash blossom rangoon. Did you guys know that my ultimate favorite bad-for-you-food is Crab Rangoons? I'm completely addicted and in love with those fried little guys. So when I saw a take on crab rangoons in the form of squash blossoms, I had to try them. And let me just tell you, these were so unique and delicious! The presentation was gorgeous as well. Served on a plank with some chive yogurt sauce with fried squash blossoms filled with a creamy crab filling and topped with almonds and mint. In between dishes, I stalked Stephanie who had her back to me all night. I wish I had balls and asked for a photo, but I just couldn't do it. Stephanie finessed each dish before it went out to the patron. She seemed very much involved in every plate. Our next dish was a F (fish) dish. Stephanie plays a lot on sweet and salty and this skate did just that. This Hawaiian fish (I was pretty sure it was skate but maybe I'm wrong?) was light and flaky. The sweet broccoli rabe over a sweet nectarine kimchee sauce was the base of this dish and the topping was sauteed dandelion greens and caper brown butter. This dish definitely stood out. I think Stephanie has a common thread in most of her dishes- she loves the sweet paired with the salty. This theme I saw again in our next dish which was easily my favorite of the evening. I've even tried to recreate it myself since I've been home (with little success). This was a goat chorizo flatbread with eggplant and roasted red pepper sauce, green tomatoes, apples and fresh ricotta. It was the epitome of sweet, salty and spicy. The whole thing was so well balanced that Dave and I were fighting over each delicious bite. The goat chorizo was so incredibly spicy but the matchstick sized apples complimented it well. The last dish we ordered was the Wood Oven Roasted Pig Face. Yes you heard me correctly. I'm really not even sure what pig face is but it was served as a pieced together patty with potato sticks and a runny egg on top. Is there anything better than a runny egg? The sauce was two fold- one was a tamarind sauce and the other was cilantro oil. Both complimented the dish very well. Now for some action shots of the cracking the runny egg! Unfortunately, after so much food, we were unable to order dessert since we were so incredibly full. But check out their dessert list! The Pork Fat doughnuts definitely intrigued me. Next time. If you are in or visiting Chicago stop by Girl and the Goat. It is so worth it! I loved the atmosphere, the service and most importantly, the food was so unique and outstanding. Have you ever been to a Top Chef's restaurant?